The year 2015 witnessed a raising of Rs 68,608 crore through the public equity markets, 76 per cent higher than Rs 39,067 crore that was raised in the preceding year, according to Prime Database Managing Director Pranav Haldea. The year could have been even better but for the deferment of several PSU offerings. The year, of course, fell short of Rs 97,746 crore, the highest amount that has ever been raised (in 2010). A major revival was witnessed in the IPO market after 4 disappointing years. Despite turbulent secondary markets, 21 main-board IPOs (previous year 5 IPOs for Rs 1,201 crore) came to the market collectively raising Rs 13,602 crore (Narayana Hrudayalaya IPO amount not finalised). 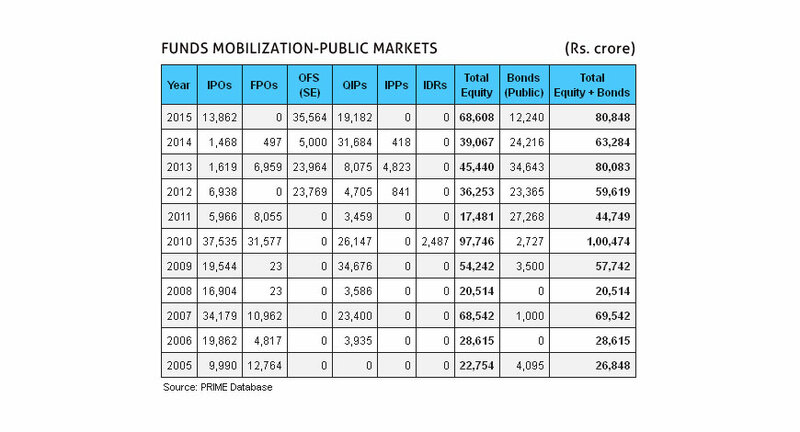 The highest-ever mobilisation through IPOs was in 2010 at Rs 37,535 crore. The year, again, witnessed a flurry of activity on the SME platform. 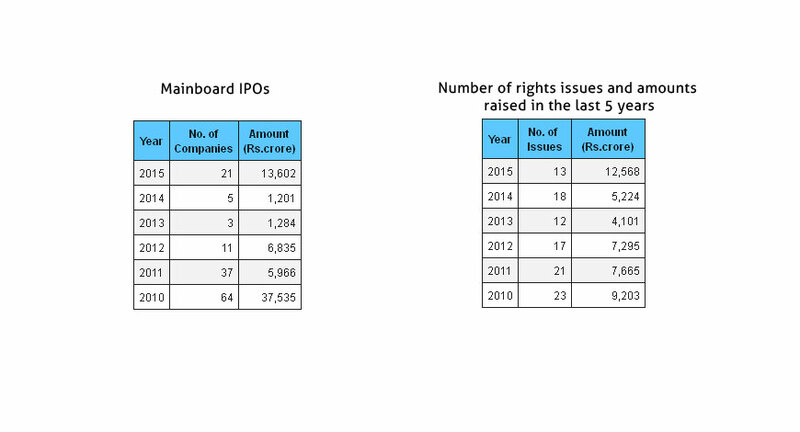 There were as many as 43 SME IPOs which collected a total of Rs 260 crore (previous year 40 IPOs for Rs 267 crore). The largest IPO was from Interglobe Aviation for Rs 3,017 crore. The average deal size was a high Rs 648 crore. A notable feature of the year was that several companies that hit the market had a prior PE/VC investment. This was true for 11 out of the 21 IPOs. Offers for sale by such PE/VC investors at Rs 1,937 crore accounted for 14 per cent of the total IPO amount. Out of the 21 IPOs, 19 companies had anchor investors, which collectively subscribed to 30 per cent of the total public issue amount. The domestic institutional investors played a significant role as anchor investors, with their subscription amounting to 13 per cent of the amount, compared to 16 per cent from FIIs. As far as retail investors are concerned, the year witnessed a good response from them. The highest number of applications was received by Alkem Laboratories at 6.06 lakhs followed by Dr Lal Pathlabs (5.53 lakhs), VRL Logistics (5.39 lakhs), Inox Wind (3.99 lakhs), Syngene International (3.20 lakhs), S.H.Kelkar (2.18 lakhs) and Navkar Corp(2.06 lakhs). The response from the public to the mainboard IPOs of the year, according to Prime, was good. While 7 IPOs received a mega response (VRL Logistics at 53 times, followed by Alkem Laboratories at 31 times, Power Mech Projects at 26 times, Dr.Lal Pathlabs at 24 times, Syngene International at 24 times, S.H.Kelkar at 20 times and Inox Wind at 14 times), 2 other IPOs were oversubscribed by more than 3 times. The balance 12 IPOs, were oversubscribed between 1 to 3 times. Offers for Sale through Stock Exchanges (OFS), which is for dilution of promoters' holdings, saw a huge increase from just Rs 5,000 crore raised last year to Rs 35,564 crore (Jarigold Textiles & Udaipur Cement Works OFS amount not finalised) raised in this calendar year. This was almost entirely accounted for by the government's divestment at Rs 35,291 crore. The largest OFS was that of Coal India in January (Rs 22,558 crore) followed by Indian Oil in August (Rs 9,396 crore). OFS accounted for as much as 52 per cent of the total year's amount. Already listed companies continued to raise funds from institutional investors through the QIP route- with 32 QIPs mobilizing Rs 19,182 crore (Deepak Nitrite QIP amount not finalised). This, however, was a huge fall from the Rs 31,684 crore raised in the previous year. The largest QIP of 2015 was from IndusInd Bank raising Rs 4,328 crore. Of the total amount of Rs 68,608 crore, the amount raised through fresh capital was only Rs 25,964 crore. The remaining Rs 42,644 crore being offers for sale. According to Haldea, 2016 looks even more promising. Already at the beginning of the year, there are 20 companies holding SEBI approval wanting to raise Rs 7,315 crore and another 11 companies wanting to raise Rs 5,445 crore awaiting SEBI approval. Many more filings are expected in the near future. A big disappointment for the primary market has again been the lack of divestments by the Government. While a good start was made with over Rs 35,000 crore being raised in the first 8 months, the balance 4 months of the calendar year did not see even a single divestment hitting the market. The SME Institutional Trading Platform saw 22 companies being listed (7 at BSE and 15 at NSE). 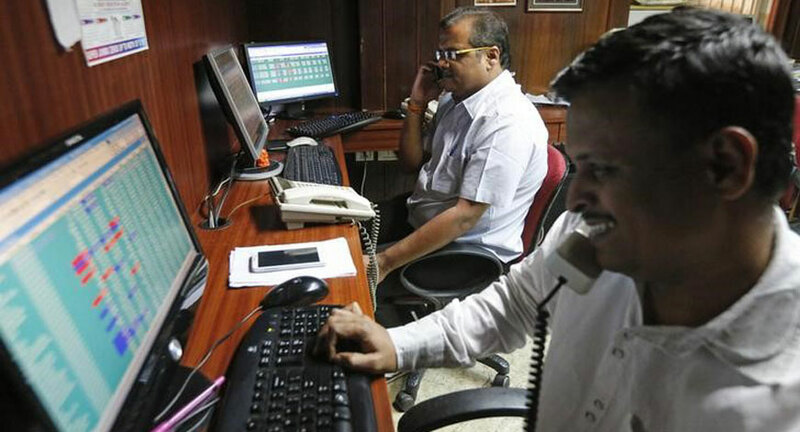 In the public bonds market, 19 issues raised Rs 12,240 crore (lower than 33 issues raising Rs. 24,216 crore last year). Mobilisation of resources through rights issues, according to Prime, recorded an increase in 2015. By amount, the period saw Rs 12,568 crore being raised, which was higher by 141 per cent than Rs 5,224 crore that was raised in the preceding year. By number, the year witnessed 13 companies using the rights route (previous year, 18 companies). The largest rights issue in the year, as per Prime Database, was from Tata Motors (Rs 7,498 crore), followed by Future Retail (Rs 1,589 crore), GMR Infrastructure (Rs 1,402 crore), IL&FS Transportation Networks (Rs 740 crore) and State Bank of Travancore (Rs 474 crore).